CRM, Google, Inventory, Templates & More! Setup & Run In Under 2 minutes. Car Guy. Dog Lover. Technology Driven. I’m not a fancy consultant that’s going to tell you how to run your dealership. But I know what works and more importantly what doesn’t work. I just don’t talk about what a dealership should do with their CRM, Website or Inventory, I put it in motion, make it better & streamline it so you can keep selling cars. All the things you wish your ISM, Internet Director or Digital Manager could do. 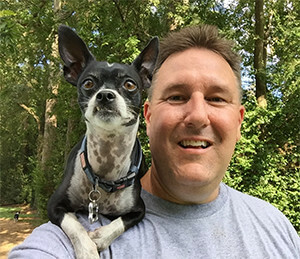 I created this website Dealer Integrations & give back to the dog rescue community at Jeff’s Dog Blog.